Yala (Thai: ยะลา, pronounced [jáʔlaː] or [jálaː]) is a city and seat of Mueang Yala District and Yala Province, southern Thailand. The provincial and district capital, it is 137 kilometres by road southeast of Hat Yai. The eastern part of the city is part of the neighboring tambon of Sateng Nok. As of 2010 the tambon had a total population of 76,853, up from 65,503 people reported in 2005. It lies on the border with Pattani Province in the north of Yala Province. It lies on Thailand Route 4106, south of Khao Tum and north of Krong Pinang. Yala railway station is on the State Railway of Thailand Southern Line. 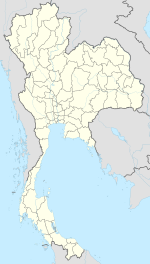 Yala is approximately 1,100 km south of Bangkok. Yala used to be part of the Pattani kingdom. When Ayutthaya was captured by the Burmese, Yala, along with other southern colonies, became independent. Yala was again included as part of Thailand about 41 years later. In September 1977, the King and Queen of Thailand narrowly avoided assassination after a bomb exploded nearby during a visit. On 9 October, policemen from the 12th Provincial Police Headquarters and the Yala Provincial Police Headquarters arrested Abdun Romae Haron, Mae Prachu, and Choning Saing on charges of conspiring with the escaped convicts Hayi Masae, Choya Samae, and Abdun Romae in attempting to kill the monarchs. The city surrounds around a circular park and is meticulously laid out, centered along Phang Mueang, the central thoroughfare. There is a large park to the west of this with a lake and swamp. 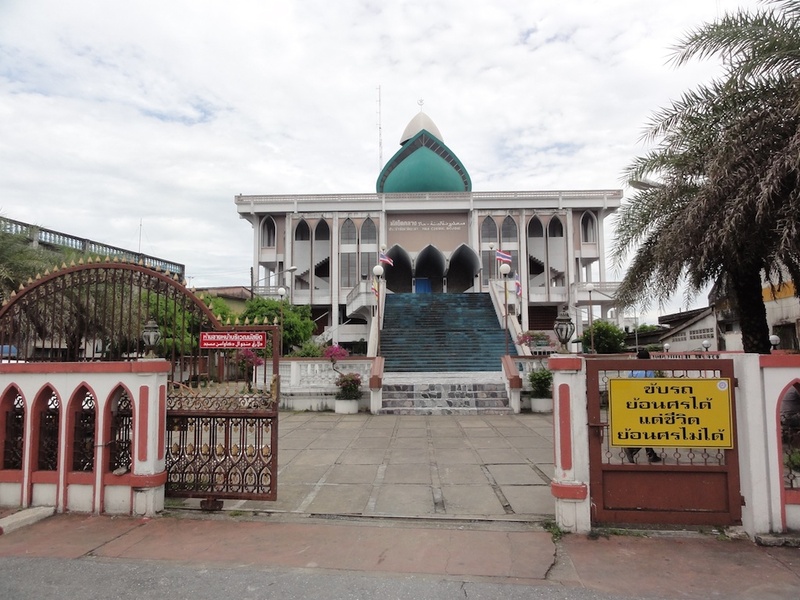 The city contains a pillar shrine, Yala Central Mosque, and a field hospital. Yala Central Mosque is a large mosque with a square shaped roof and green dome, on the main road towards the north of the city. It has existed in its location for over a century and was damaged during the Japanese occupation of Thailand, but was subsequently rebuilt after World War II. Yala Hospital and Siroros Hospital, on Route 4106, serve the surrounding district. The Tham Phab Khien Fa Panang caves lie to the east of Yala on the way to Budi and contain 500-year-old rock paintings. The main occupations of the people are trade, agriculture, business, and governmental services, given that it is the capital of Mueang Yala District and contains district offices. Secondary industry also has some significance, given that the city contains the Muang Yala municipal slaughterhouse in the western part of the city near the river bank, the Shaapan rubber factory, Sun Thai Yala Co. Ltd. (a wood processing firm), Charoenporn ice plant, and mineral water bottler. ^ "Yala". Tourism Authority of Thailand (TAT). Retrieved 19 September 2016. ^ a b c "สะเตง". Thai Tambon.com. Retrieved 24 January 2012. ^ "Yala: How to Go". Tourism Authority of Thailand (TAT). Retrieved 19 September 2016. ^ Kroef, Justus Maria Van der (1981). Communism in South-east Asia. Macmillan. p. 85. ISBN 978-0-333-24812-6. Retrieved 24 January 2012. ^ Degenhardt, Henry W.; Day, Alan John (1983). Political dissent: an international guide to dissident, extra-parliamentary, guerrilla, and illegal political movements. Gale Research Company. ISBN 978-0-582-90255-8. Retrieved 24 January 2012. ^ British Broadcasting Corporation. Monitoring Service (1977). Summary of world broadcasts: Far East. Monitoring Service of the British Broadcasting Corp. Retrieved 24 January 2012. ^ "Yala Central Mosque". Waymarking.com. Retrieved 24 January 2012. ^ Ellis, Martin. "The Caves of Yala" (PDF). Thailand Caves. Retrieved 19 September 2016. Wikimedia Commons has media related to Yala. This page was last edited on 30 September 2018, at 13:20 (UTC).